Behold! 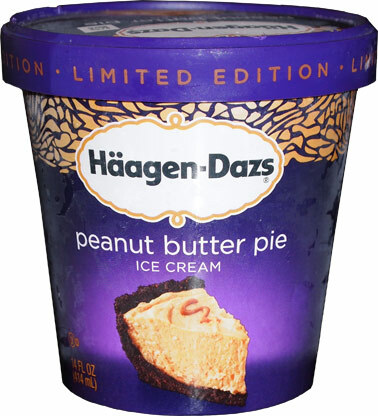 I've got my grubby little paws on limited edition Haagen-Dazs Peanut Butter Pie Ice Cream. 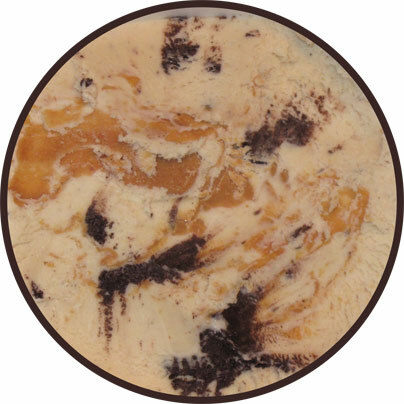 H-D calls it "peanut butter pie ice cream is made with ribbons of smooth peanut butter and soft chocolate cookie pieces folded into creamy peanut butter ice cream". So much potential awesomeness. I better share this one with my wife to avoid the temptation to scarf down the whole thing. The opening shot had a little melting damage, so this is dug down about a quarter inch. Looks respectable, smells good, I think it's time to scoop. Oh my peanut buttery goodness I think I might implode because of the majesty I see before me. Wow, just wow. My word is that epic looking. I know I stare at my food too much, but come on, the rich looking chocolate hunks, the layer after layer after layer of peanut butter. I'm happy just staring, but let's dig in and see if the tastes match the visuals. Ok, expectation bar set amazingly high.... time to dig in. 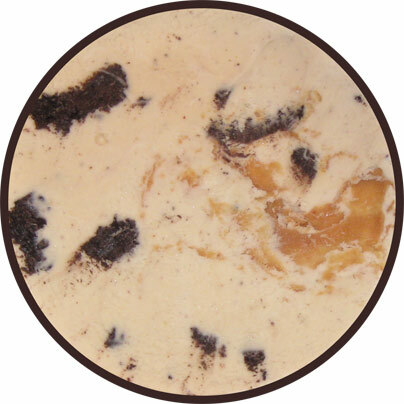 While B&J Chocolate Peanut Butter Cup strayed too close to a flat peanut oil taste, this H-D version tried much harder to find a nice compromise between all natural and all Reese It's not too salty, but it still has enough of that wonderful bite of a true peanut butter swirl. Respectable, flavorful, not trying to run my tastebuds into the ground. Yeah, we like this one, we like it a lot. I think the peanut butter messes might mess with the typical haagen-dazs texture a little bit, ingredients do that, but it's a minor footnote to a nice grown up flavor. It's just such a nice balanced approach, but hey, that's what Haagen-Daz does. I really like this. I knew I would and it didn't disappoint. Nice chocolate, nice swirl. There's no thud or chewiness going on. It just goes down so easy.... which means I ate my share way too quickly. This is my favorite ice cream. Since I eat a lot of ice cream, it's hard for me to ever call a favorite, but this... this is my favorite ice cream. I'm sad that it's a limited edition flavor. I don't know what I'll do next year. This ranks in my top two ice creams - alongside Copperkettle Caramel which you STILL need to try. The question is: This or Ben & Jerry's Peanut Butter Cup for the ultimate peanut butter ice cream? The chocolate cookie swirl is terrible,tastes like a chemical filled flavorless chocolate cookie.not worth the obscene amount of calories thats for sure. @Lisa: Really? I live in Johnstown and it's readily available everywhere around me. I'll be in Saratoga Wednesday so I'll see if I can find it for you. Does anyone know when it comes out again? Can't find it. Been a year!!! I loved this ice cream because it is peanut butter based with a little chocolate. I am not big on chocolate based ice creams. Grocery Outlet had it for $2.49 and the last time I bought it, it was 99¢ And it wasn't icy or stale tasting. Agree! Bring it back, Haagen-Dazs!